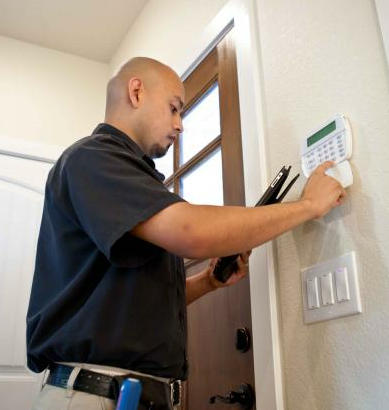 Installations » Superior Alarm Inc.
Superior Alarm Inc installs several security and home safety products from top brands in the industry. Every security system begins with a burglary alarm. From basic to the most advanced alarm products in the industry, Superior Alarm Inc is guaranteed to have the best option for your home or business. Our alarms may include a door sensor for each exit, with alerts for each time the door is opened. There are also options for glass break and motion sensors. The alarm control panel features intuitive, touch screen navigation and features such as the weather, digital arm and disarm log records, and emergency alerts with the touch of a button. Our installers will go over all the features with you in detail so you feel comfortable with your system before we complete the job. Superior Alarm also provides intercom systems, which are especially useful for large homes and businesses. You can speak over the intercom within rooms of the home, with someone just outside the home, or with our security personnel in case of emergency. With today’s mobile network technology, it’s never been easier to obtain remote access to all your security features. Superior Alarm, Inc installs and programs access control systems, which work through a cell phone application. They allow you to control any part of your system while you’re away from home. You can arm or disarm the burglary alarm, adjust your thermostat, contact our security team, check the weather, and more. The application features are customized according to which products you have installed. You’ll also receive immediate notifications on your phone for any system activity. Superior Alarm, Inc also offers remote access to your security cameras. Check for suspicious activity anytime, anywhere, and feel secure knowing you are in control. If you see anything concerning, give us a call or notify authorities—we’ll make sure the problem is investigated and taken care of as needed.